Bicycle Lights are lights attached to bicycles whose purpose above all is, along with reflectors, to improve the visibility of the bicycle and its rider to other road users in poor light circumstances. Lights can also be used to illuminate the road ahead so that the rider can see where they are going. We have compiled a list of the top 5 Bicycle Lights in terms of most number of views on ChooseMyBicycle.com from January 1st to March 31st 2019. 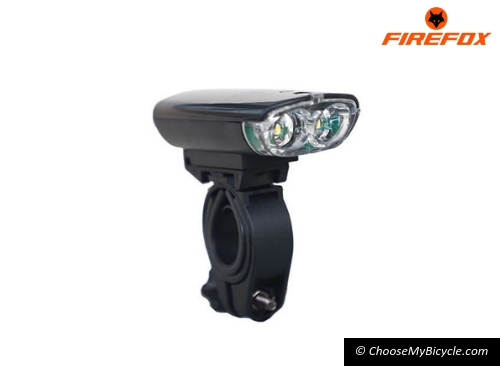 The Firefox Bicycle Light Front LED is a Front LED light which attaches very easily to any standard Flat, Raised or dropdown handlebar. This LED light is powered by 1 Super Bright White LED and has 2 modes; Steady and Flashing, the Light is powered by 2xAA batteries. Priced at ₹390 (as on 15th April 2019) this Front LED is best suited for City Commuting. 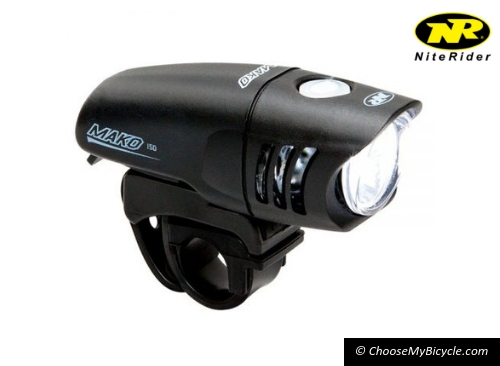 The Niterider Mako 150 is a Front Light which has a Maximum Lumen Output of 150 Lumens and a maximum run time of 72 hours. This Front LED light runs on 2xAA batteries and weighs a mere 175 grams. This front light from Niterider has 3 modes; High, Low and Flash and is priced at at ₹1,199 (as on 15th April 2019) this Front LED is best suited for City Commuting and is low cost and adds to a riders visibility and safety when navigating City streets. 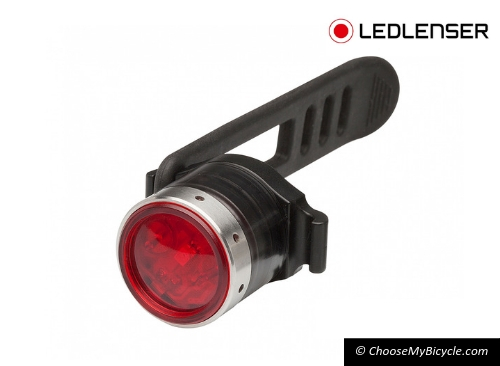 The Ledlenser B2R Rear Light is a Safety Light which is powered by a High End Power LED which has a run time of 30 hours. This safety light from Ledlensor has 5 different modes; Pulse, Blink, Strobe, Dimming and Power modes. This Rear light weighs a mere 33 grams and is priced at ₹1,190 (as on 15th April 2019) and is best used as an additional rear light for rough MTB rides on uneven trails. 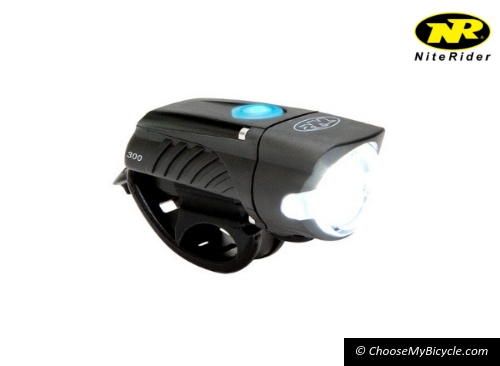 The Niterider Swift 300 is a compact and lightweight front light which has a Lumen Output of 300 lumens, a run time of up to 25 hours and a charge time of 3 hours. 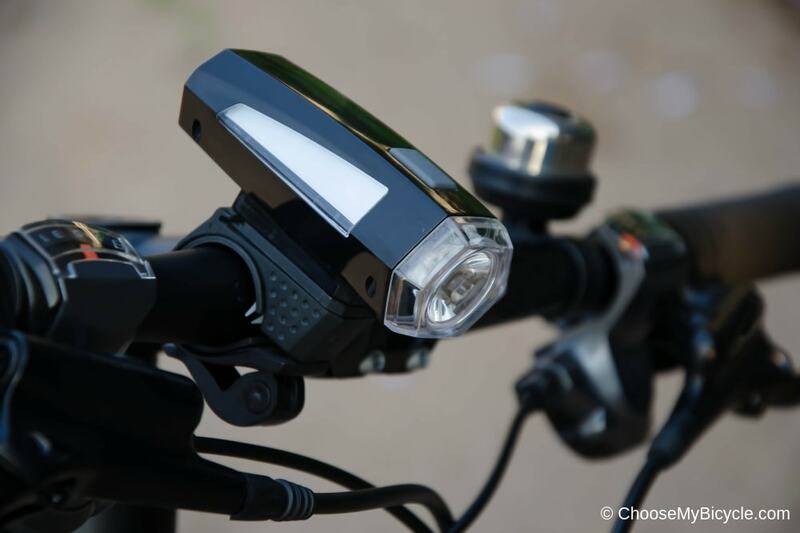 This front light from Niterider comes with a Li-Ion battery, which can be charged, via a USB and weighs a mere 82 grams. Priced at ₹1,499 (as on 15th April 2019) this light is best suited for those riding early in the morning or late at night. 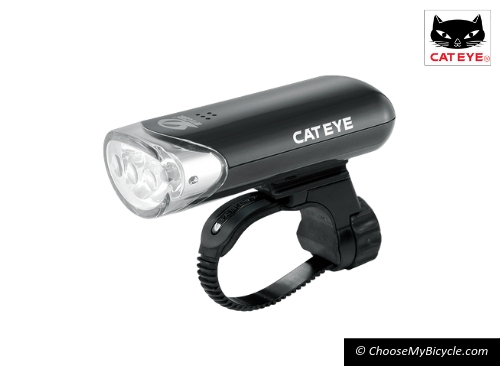 The Cateye HL-EL135 with three LEDs and OptiCube lens technology for a wider, 150 candlepower beam is the perfect everyday commuter safety light. This Front Light has 3 white LEDs, 2 light modes; Steady and Flash and is powered by 2xAA batteries. Priced at ₹1,190 (as on 15th April 2019) this light is best suited for those commuting in the City. *Disclaimer – The bicycle lights mentioned are based on Page Views on ChooseMyBicycle.com, which is calculated using Google Analytics.